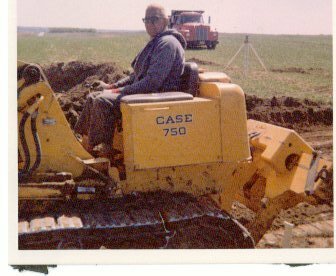 Started generations ago, Dave Hulstein Excavating™ is the premier regional excavator of Southwestern Minnesota. to make anything happen correctly, on schedule, and in budget. Let's take the next step. No matter the scope of your needs, we do it. After all, we play in the dirt – really well. From one generation to another…and to another, we've shaped the Earth for 50+ years, with over 175 years of combine expertise. Even in the early days, we used state-of-the-art equipment to achieve expert Earth (soil) management.